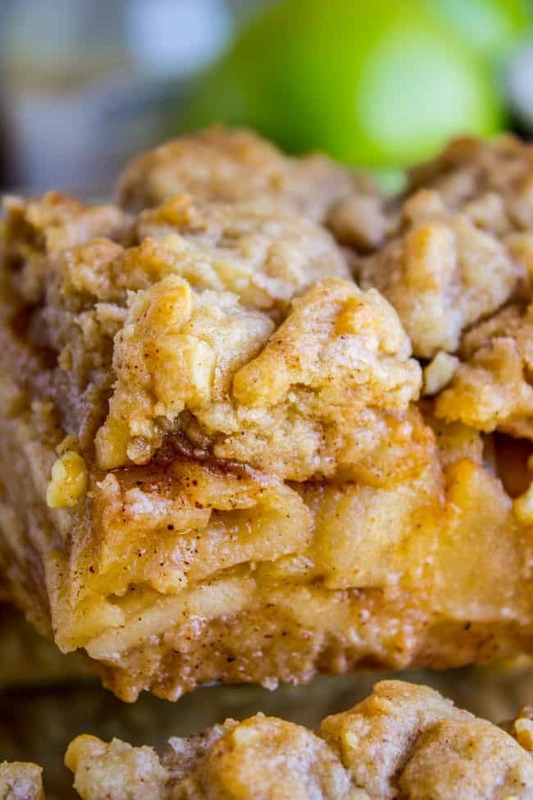 Apple Pie Bars are the best way to eat pie with your hands! There is a crazy amount of buttery crust in this recipe, that we divide between the bottom and top of a luscious apple pie filling. Apple season is upon us my friends! It’s glorious! Eric and I are sick this week. I got it first, chills and body aches and wonderful flu symptoms. The other night I woke up at 2am freezing cold, so I got up to take some advil and grab an extra blanket, then waited it out until I fell back asleep, sneaking my icy toes over to Eric’s side of the bed. The next night I was a lot better. I slept soundly for several hours but was violently awoken to incessant chattering in my ear, and an entire human wrapped around me. Like an octopus. Like a vice grip. It was Eric of course, who was having chills and using me as a human heater. I had to laugh. I don’t think he noticed through the chattering. Is there anything more pathetic than a sick husband? It’s kind of cute. These bars do not disappoint. (I mean just look at this crust!!) It’s mainly to do with that pound of butter called for; you just can’t go wrong when there is that much crust in a pie recipe. You combine the shortbread (butter, flour, salt, etc.) then divide and press half into a pan and bake. Then you add a couple more ingredients (nutmeg, walnuts) to the rest of the shortbread mixture and tear off pieces of that to go over the apple pie filling. It’s SO buttery and SO worth it. Trust me. Trust Ina!! We are also cooking the apples on the stove before they get put into the oven. 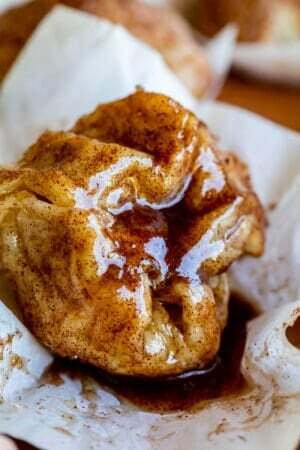 I love this method for apple pie and do the same thing with my Apple Custard Pie with Cinnamon Streusel (another favorite apple dessert recipe of mine. Custard forever) Apples are kind of stinkers about softening up in the oven, they take a good 45-50 minutes usually, which is right on the edge of overbaking your pie crust. So it gets a little dicey. Cooking the apples ahead of time solves that problem, and gives you the most tender, melt in your mouth, cinnamon-iest apples ever, with a crust that is baked only until perfectly golden and no more. 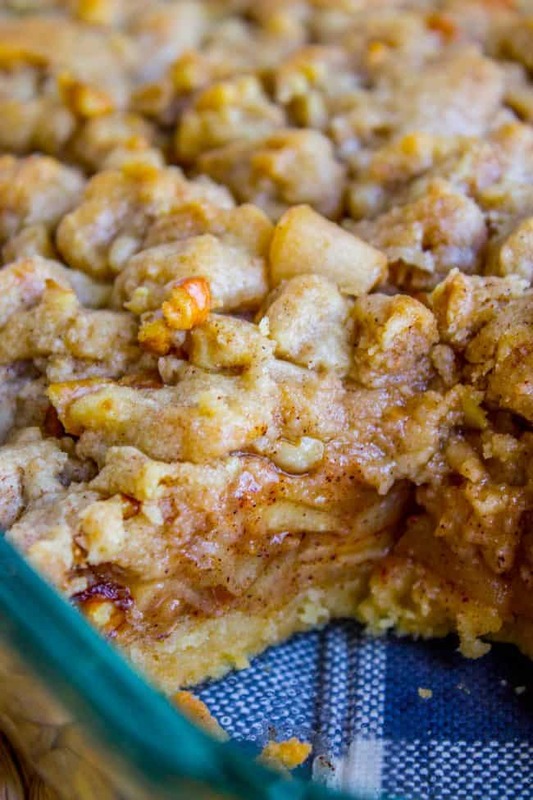 There are walnuts in the shortbread topping of these Apple Pie Bars. Normally I’m NOT a huge fan of nuts in my desserts, but I decided to try it out in this recipe and I’m so glad I did. (I think this means I’m officially getting old.) The walnuts add the perfect crunch and slight hint of flavor. I didn’t even toast them ahead of time, although that would be delicious if you did. I think roughly chopped pecans would also be delicious if you wanted to try that. I love eating this bars when they have cooled completely. There is something I love about room temperature pie, am I the only one? These apple pie bars hold up to their name: they are sturdy enough that they can be picked up and eaten with your hands, no fork required. But….if you want to add ice cream and My Favorite Caramel Sauce to your slice, I’m not going to judge you. 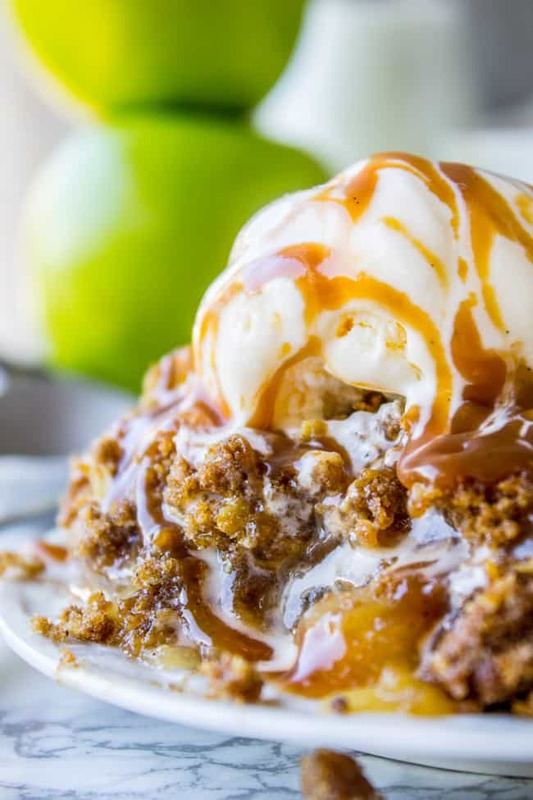 Ice cream and pie go together like…well, like apples and cinnamon! 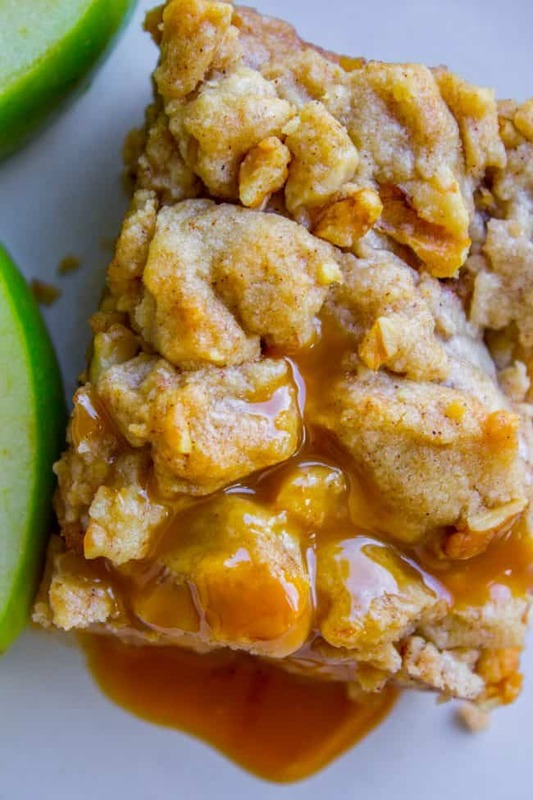 Apple Pie Bars are the best way to eat pie with your hands! 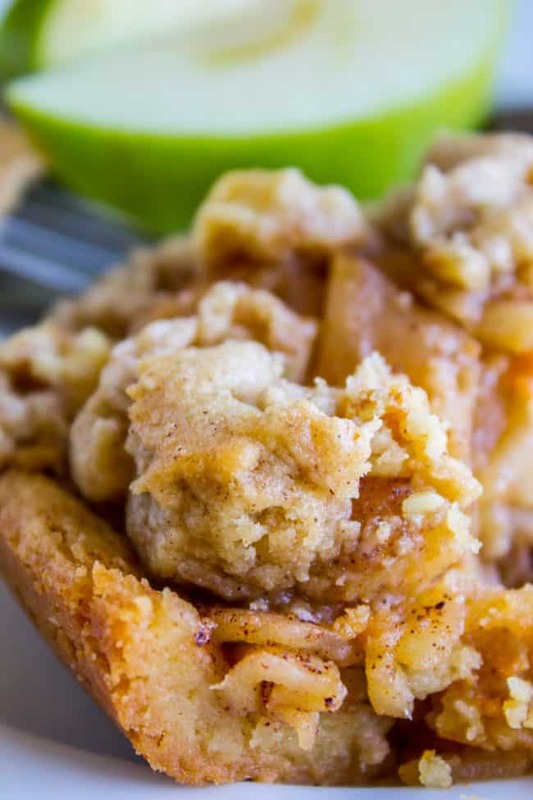 There is a crazy amount of buttery crust in this recipe, that we divide between the bottom and top of a luscious apple pie filling. Apple season is upon us my friend! It's glorious! 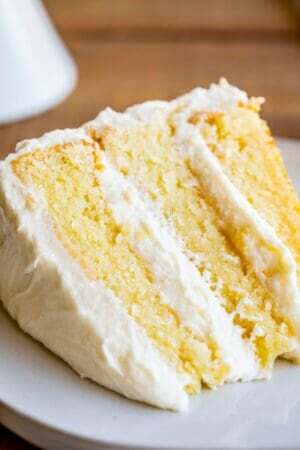 In a large bowl or stand mixer, beat 1 pound of butter until smooth and creamy. 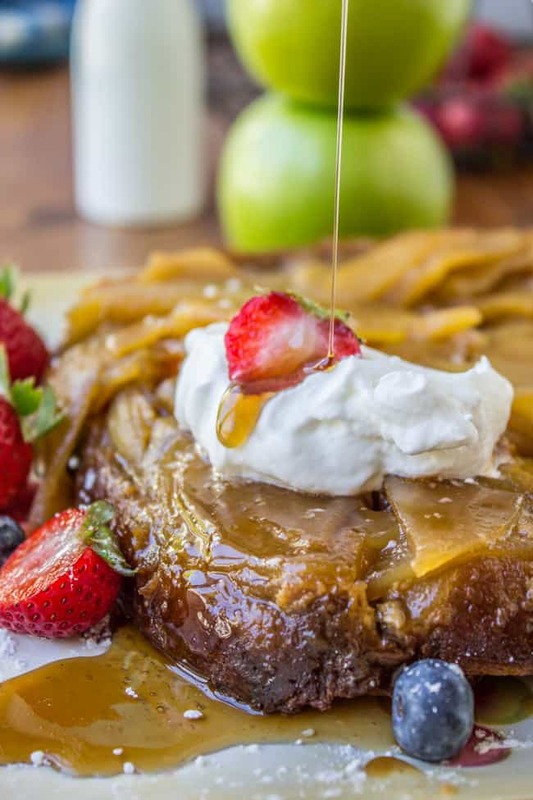 Add 3/4 cup sugar, 1/2 cup packed brown sugar, and 2 teaspoons vanilla and beat for 1-2 minutes, remembering to scrape the bottom and sides of the bowl. It should be light and creamy. Add 4 cups of flour and 1 and 1/2 teaspoons salt. Beat until just combined. Do not over mix. Flour your hands lightly and press the dough into the bottom and up the sides of the pan. The crust should go about a half inch up the sides of the pan. Use a glass or a measuring cup to press the edges and bottom. Refrigerate the crust for 20 minutes. Don't skip this step! Cold shortbread going into a hot oven is what makes for amazing, tender crusts. Bake the crust for about 18 minutes, until the the crust is golden brown. Set aside. Lower the oven temperature to 350 degrees F.
Mix on low speed just until combined. Cover the bowl and stick it in the fridge. Squeeze about 2 tablespoons fresh lemon juice into a large bowl. Peel the apples, core, and cut into 1/8 inch slices. See photos for my method. The thinner you slice them, the better! As you slice the apples, toss them into the bowl with the lemon juice and mix around to coat them. Stir every couple minutes as you are slicing. This will stop your apples from getting brown. Simmer the apples over medium heat, stirring often, for about 12-15 minutes. If it looks like they are boiling too hard, lower the heat to medium-low. When the apples are tender and the liquid has mostly evaporated, turn off the heat. Pour the apples into the baked crust, leaving a half inch border along the edge. Get the remaining crust dough out of the fridge. Use your fingers to pinch medium pieces of dough and drop them over the apples (see photos). Bake at 350 fro 25-30 minutes, until the top is golden brown. Cool and cut into bars. OR don't cool, cut out a falling-apart-piece right away, and top it with vanilla ice cream and My Favorite Caramel Sauce. You really can't go wrong here! 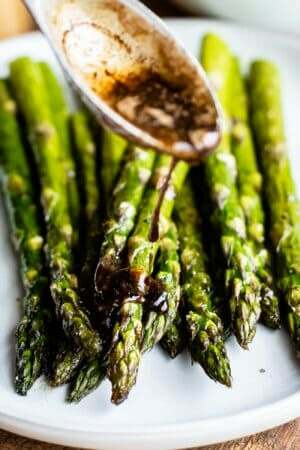 This recipe is from Ina Garten. It was published in the October 2017 Food Network magazine, but it's also online here, where you can read some of the reviews. I made a couple changes but nothing significant. I love Ina's recipes so much! 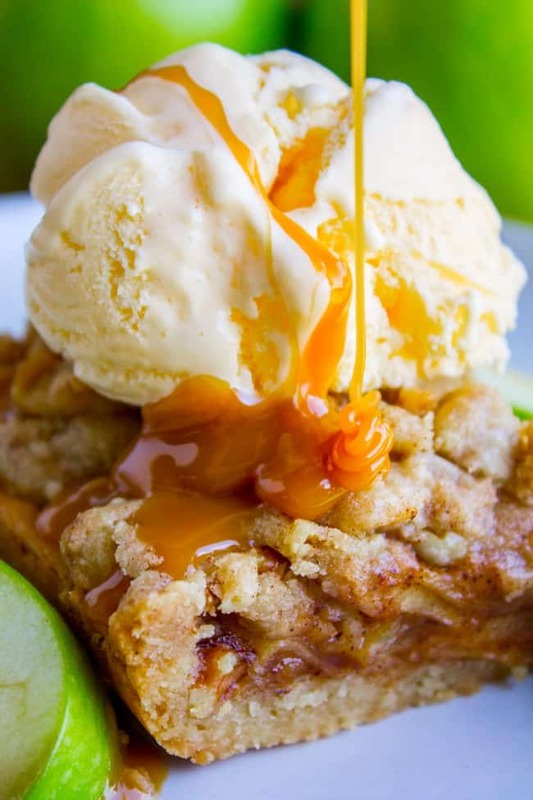 More apple dessert recipes you are sure to love! 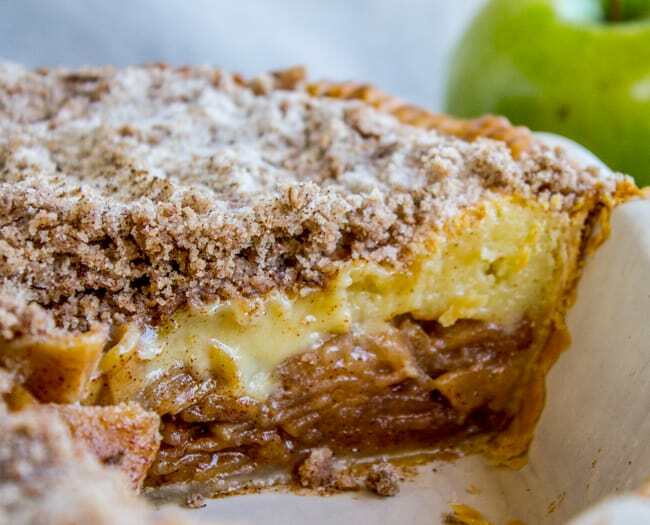 Apple Custard Pie with Cinnamon Streusel << custard in pie is my absolute FAVORITE! 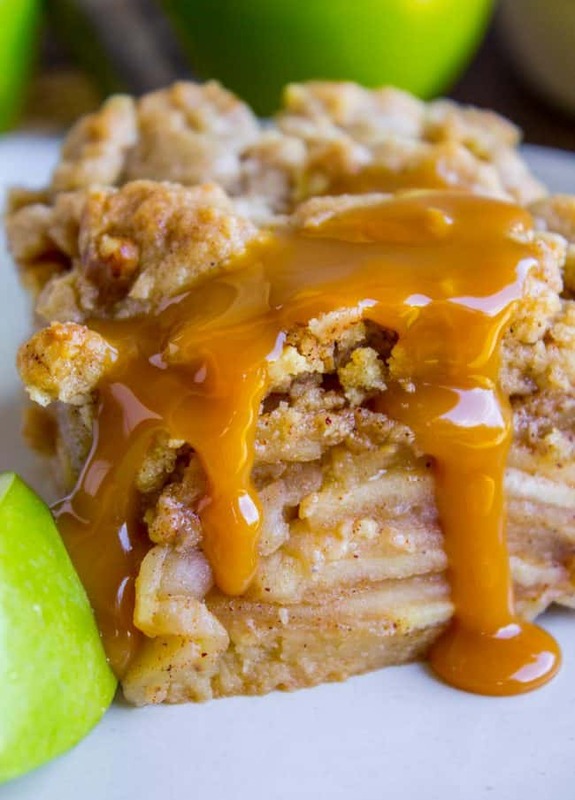 More apple dessert recipes from friends! I like to try new recipes every Thanksgiving and this one will definitely be the new addition to our Thanksgiving dinner this year. Can’t wait !!! 1-1/2 cups brown sugar, juice of 1 lemon, 3 tablespoons cornstarch, 2 tsp vanilla, 1 tsp cinnamon, 1/2 tsp salt and 1/4 tsp grated fresh nutmeg, and because my peaches were very ripe, I added 1 tablespoon flour for the filling. It turned out so good. I’ll definitely try it with the apples, but this made an amazing peach pie dessert. I love that shortbread crust and topping. Much simpler than pie dough also. Thanks for the great recipe Karen! You’re a genius Kris, that sounds amazing! I’m so glad you tried this and took notes, because peaches was going to be the next fruit I tried with this shortbread crust. It’s my new favorite! 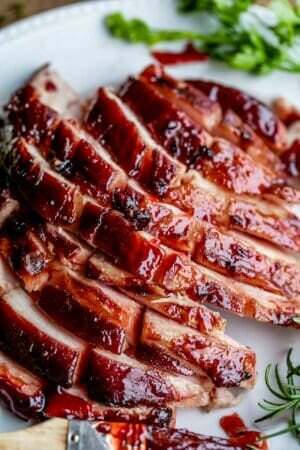 Next time I want to try it with Rhubarb, what do you think?? I wish I had some right now, I will have to wait until next spring! Ooh pears! That’s a great idea Lil! And I love the idea of mixing them. I’m going to try that! Thanks for the tip! You take the BEST food pics!!! Will definitely have to try this SOON!!! 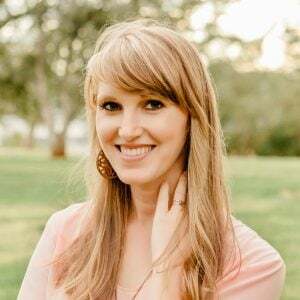 Love your blog Karen AND your sense of humor!!!! 1 1/4 # of butter!! Wow, I have heard of death by chocolate….